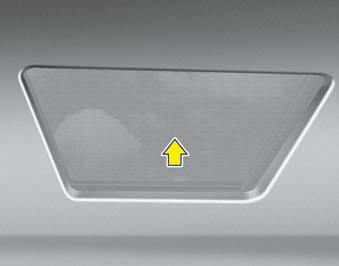 Do not continue to move the sunroof control lever after the sunroof is in the fully open, closed, or tilt position(s). Damage to the motor or system components could occur. To open the sunshade, pull the sunroof control lever backward to the first detent position. To close the sunshade when the sunroof glass is closed, push the sunroof control lever forward. To stop the sliding at any point, pull or push the sunroof control lever momentarily. It is normal for wrinkles to form on the blind because of its material characteristic.